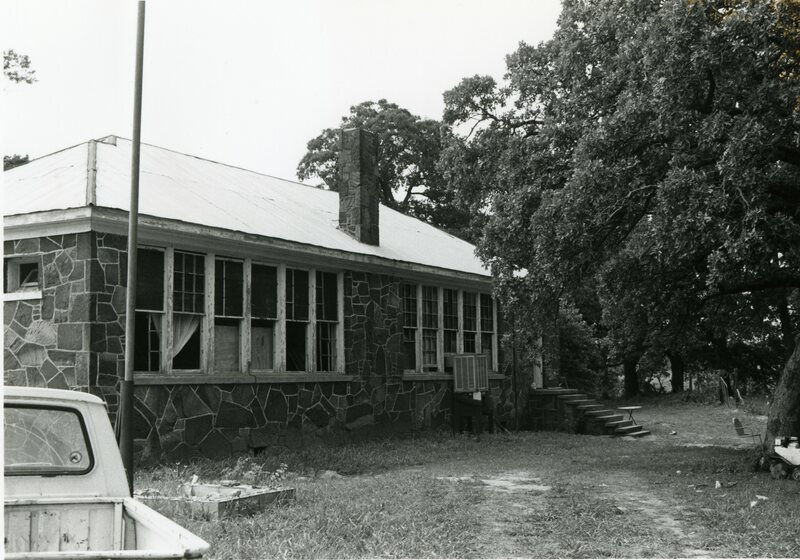 Oak Hill School is a single-story, rectangular (29′ x 71 ‘) building constructed of uncut native stone of auburn and buff colors. The masonry of the structure is random rubble. The roof is gabled with a center gable over the main entrance. The doorway is recessed behind pediments attached to the wall. The east side entrance has steps leading up to it. The sashed windows on this east side are placed in groups of six. On the front west side the sashed windows are paired. There is a small square window near the eaves on each end, north and south. All windows have been partially or totally covered with wood inserts, and many of the panes are gone. The alterations do not impeach the architectural integrity of the structure. Within the community, this school is unique in terms of type, style, scale, materials, and especially workmanship. The colorful stone was used to make a unique and beautiful design. 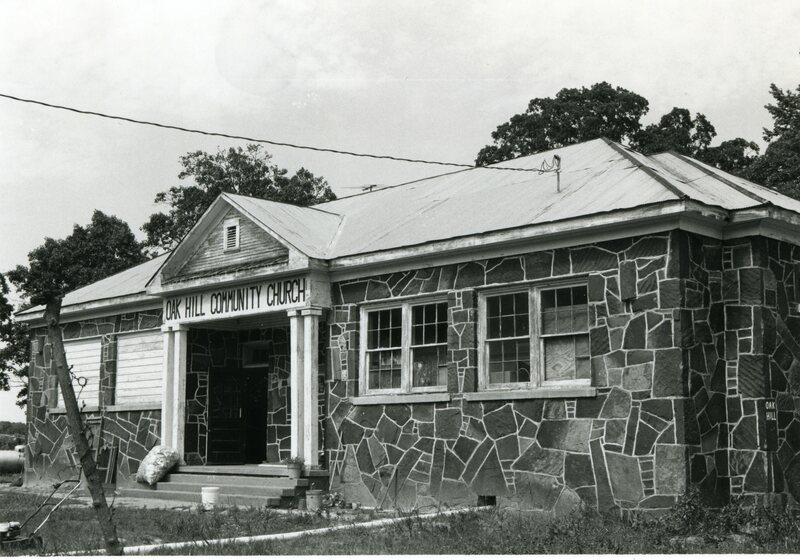 Construction of the building provided unskilled and unemployed men with jobs during a time when such opportunities were few in this rural part of Mcintosh County. The project enabled the WPA to infuse wages of some 14,600 man-hours of labor into the local economy. Educational opportunities improved tremendously in this area through this WPA effort.